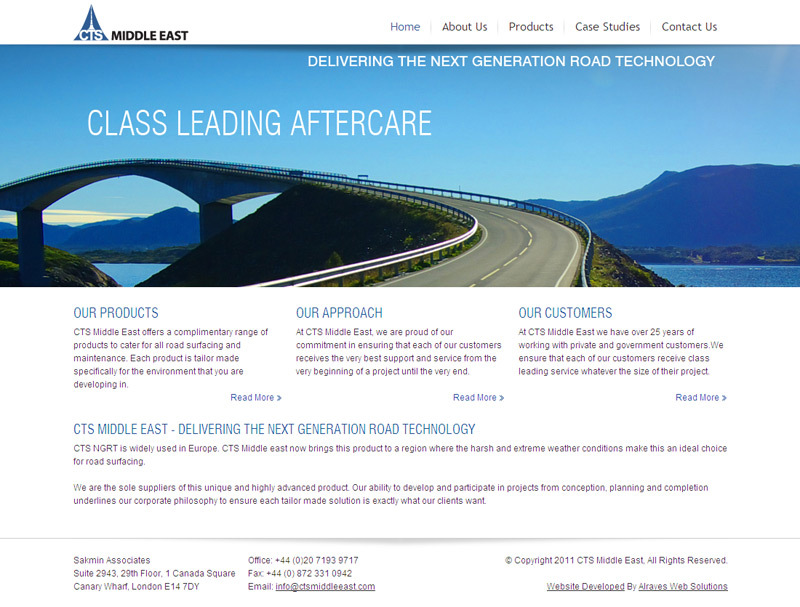 CTS Middle East offers a complimentary range of products to cater for all road surfacing and maintenance. Each product is tailor made specifically for the environment that you are developing in. To give the company a professional image, we worked closely with them to design and build a clean corporate website.